But when pressed for specifics, he told me to try them out. So I did. Richards: OS kernel simulation benchmark, originally written in BCPL by Martin Richards (539 lines). DeltaBlue: One-way constraint solver, originally written in Smalltalk by John Maloney and Mario Wolczko (880 lines). Crypto: Encryption and decryption benchmark based on code by Tom Wu (1,689 lines). RayTrace: Ray tracer benchmark based on code by Adam Burmister (3,418 lines). External link: SpeederXP - PC Speed HACK - Speed up internet - boost itnernet access! Next article: Welcome to Google Chrome Forum! Chrome is the fastest browser I've ever used! Chrome is an amazingly fast browser, however, Mozilla has made some major improvements to Firefox. 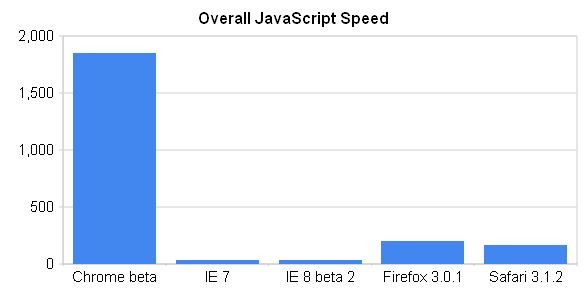 With the release of Firefox 3.1 beta 1, Chrome now has a direct competitor when it comes to speed. Mozilla has introduced their new java engine that can be enabled in "about:config" in their new Firefox beta. With this java engine enabled, Firefox becomes a little bit faster than Chrome. Mozilla plans to have this new java engine (dubbed "tracemonkey") enabled by default when they release the stable version of Firefox 3.1. Chrome is going to have to get even faster if it wants to continue being number 1. Chrome is known for being a fast browser and that is very nice, there's always improvements with every updates. We're hungry for more speed and i think chrome sets the bar and motivates all the industry to get better performance. Great food for though to think how far we went with technology in 10-20 years. I think the other browsers have caught up now for the most part. 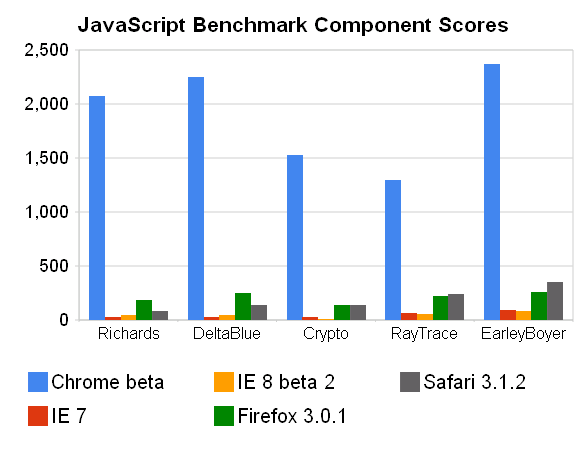 Chrome is really the fastest, but its Plugins are less than firefox, so i prefer firefox. I like the way chrome starts new threads for every new action I wish to perform. total concurrency!